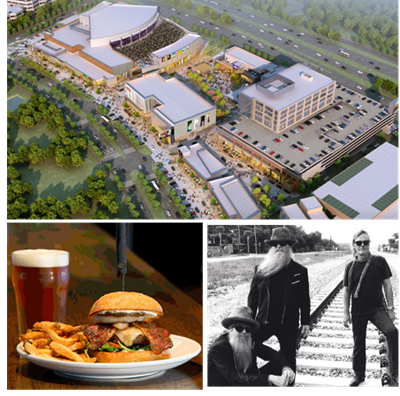 ​​​ ​IRVING – The new Toyota Music Factory, a collection of restaurants, bars, movie screens and live music spots, made its opening bow Sept. 9, 2017, when bearded rockers ZZ Top perform the inaugural set. The $200 million project just picked up Toyota as the title sponsor. ​Currently, the 115,300-sf concert hall is the only venue that's ready for paying customers. At the completion of the project, the anchor will be flanked by more than two dozen places to eat, drink and be merry, including a new Alamo Drafthouse, and bowling.